DAVID LE/Staff Photo. 6/18/15. 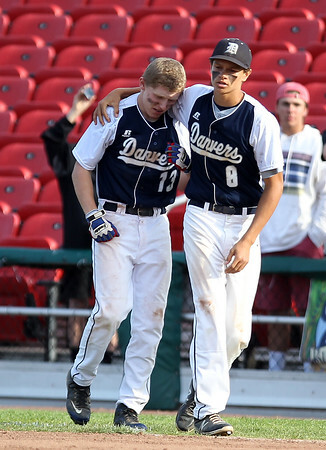 Danvers sophomore Devonn Allen, right, consoles classmate Jordan DeDonato after he grounded out to end the game. The Falcons fell to Middleboro 4-3 in the D2 State Championship.